Hidden Gem!! Tucked away in a hidden community on a lake awaits your new home at the end of a cul de sac. 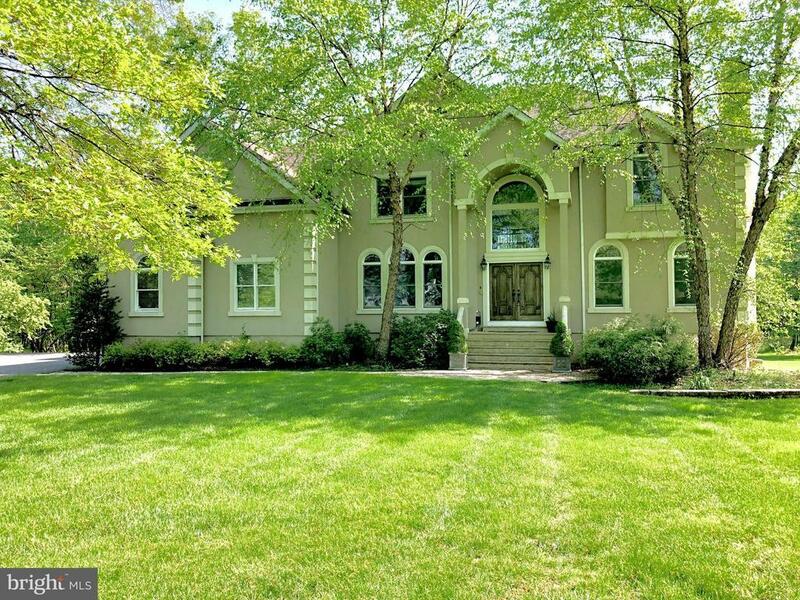 Pack up and move right into this spacious, open, 4, 000 sq ft home. This airy home has the perfect flow and connectivity from the moment you enter the capacious two story foyer. At the front of this exquisite home is the formal living room and dining room that flank the foyer. Both rooms boast immense palladium windows that drench the spaces in beautiful, natural light adding to the open and bright feel. The formal living room houses one of the fire places that makes it a great, quiet space to curl up with your favorite libation.The lavish dining room is currently home to a dining set that seats 10 making it suitable for any gathering you throw its way. The attached walk-through butlers pantry contains a generous amount of cabinet storage and counter space. Four glass doors allow you to display your glassware and china while also providing decorative wine storage. To make this space more splendid, is the built in wine cooler to keep your beverages perfectly chilled. As you make your way to the rear of this elegant home, you will be taken aback by the abundance of open space and light. The open floor plan creates a flow between all of the everyday living spaces. The two story great room features a wall of widows specially treated to protect the inside from UV light. Here you will find french doors that lead out to the deck and the second fireplace this home offers which is double sided. All this makes it the perfect space to gather and relax after a long day of work. Connected to the great room is the voluminous eat-in kitchen. The breakfast area harmoniously joins the living area, butlers pantry, kitchen and a second entrance to the deck. Entering the kitchen you will immediately notice that no job will be too big. The kitchen island has enough room to prepare the tastiest of gourmet meals. Cooking and baking are a breeze with the professional grade stove and stainless steel appliances, while the walk-in pantry and multitudinous cabinets are there to store all of your cooking accessories, tools and ingredients. Completing the first floor is a large office/library space, this room stays toasty and cozy because of the double sided fireplace. Need a first floor Master or in-law suite? This room can easily be converted because it abuts to the powder room. THATS ONLY THE MAIN FLOOR!! Divided by the catwalk, the second floor is divided in half. As soon as you approach this grand level, you will find your second floor laundry, no lugging laundry up and down stairs for you! To the left is your Princess Suite with a large double door closet and ensuite. Make your way to the right and you arrive at double doors that open to your master suite. The master suite has a generous sitting area large enough to have your own private living room, while the bathroom is open and airy with an abundance of counter space. Calling the cavernous closet a walk-in is an understatement considering it has a window and it~s own closet, it can almost be another bedroom. Cross the catwalk and enjoy the views to the first level. Once on the other side, you will enjoy two additional sizable bedrooms that share a jack-and-jill bathroom. The space continues with an expansive walkout basement that flaunts high ceilings making it the perfect space to entertain in once finished to your liking. Outside you~ll enjoy a long private drive to your private lot set far off the road. Situated on 3 acres, you~ll have plenty of space to stretch your legs. Because the matured trees were left in the backyard, you can sit on your deck with a cup of coffee and enjoy the wild birds and deer. So close to town and shops, as well as, outdoor activities like the watershed or Hopewell Valley Vineyard, you~ll always have something to do right in your own backyard. With less than an hour to Philly and only 20 minutes to the train station, Come see for yourself, this perfect home!